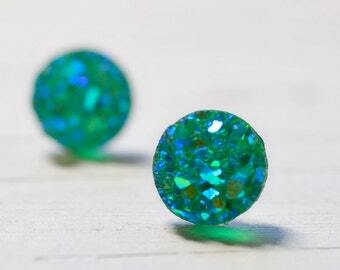 Beautiful tiny stud earrings - glittering blue green faux druzy earrings. 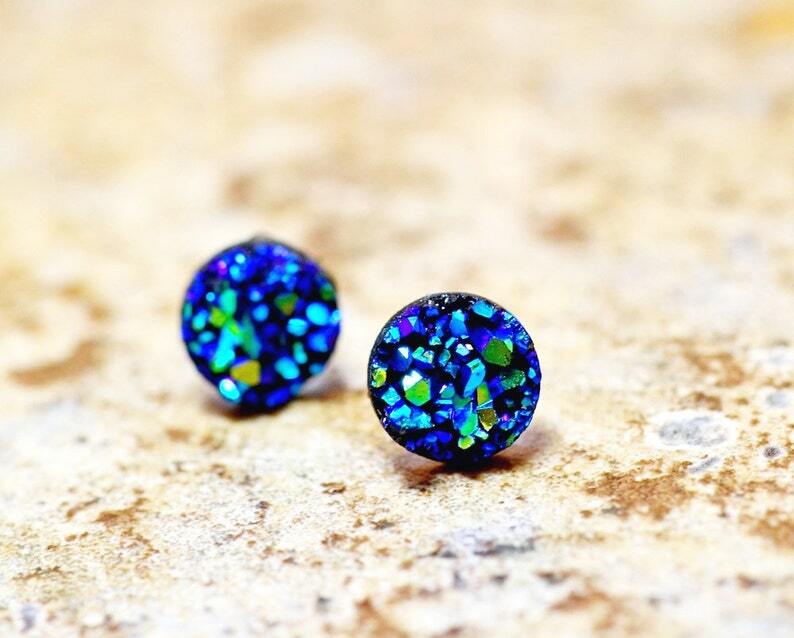 I made these sparkly studs using acrylic faux druzies so they're incredibly lightweight and comfortable. I've securely attached them to stainless steel posts. 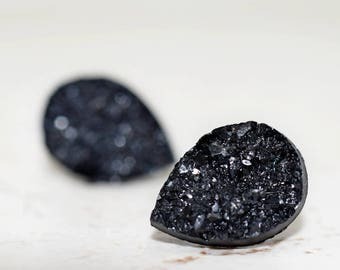 Get the look for less with these imitation druzies! 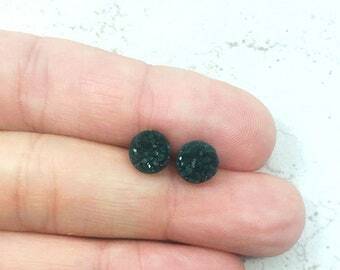 These are tiny 8mm studs. Stainless steel. 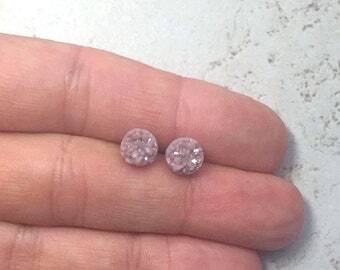 These earrings should not be worn while swimming or bathing. 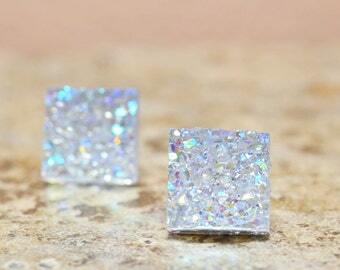 As a general rule of thumb, jewelry should be removed before submerging yourself in water. 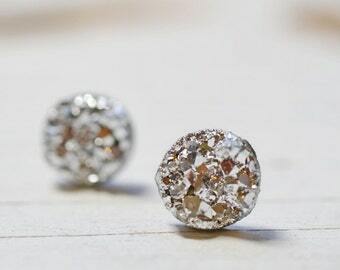 Chlorine will remove the sparkle. 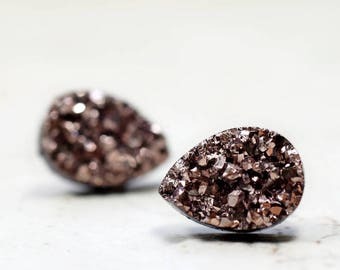 A bit larger than expected but with the amazing color/sparkle to these earrings absolutely worth having the slightly larger size to see the details. Highly recommended. I got the blue and red and love both.